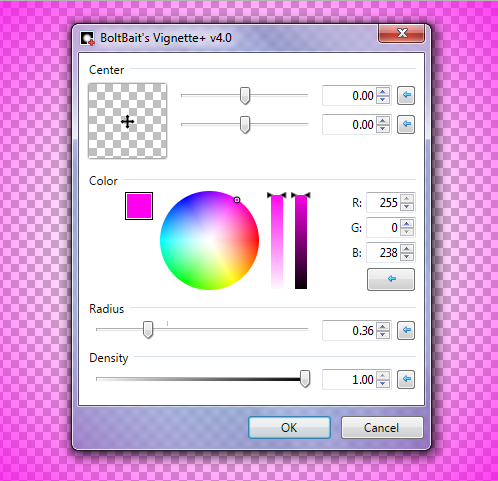 By BoltBait, May 29, 2014 in Plugins - Publishing ONLY! Here is a new plugin to assist you in adding a vignette to an image. Super! Thanks so much BB! Thanks BoltBait, a wonderful plugin. It's now also on YouTube. Please keep up your fantastic work! Thank you! That is a nicely done video! You're most welcome! I'm happy you liked the video and also my voice - in one of the next videos I even may speak English. ingwer's video is rather clear without knowledge of language - that's wonderful. Thank you very much, ReMake! That's really kind of you. I know that the videos are subtitled in English. I only said that because my heritage is German. After all, my last name is Issel. My wife, on the other hand, speaks fluent German. She lived there for a year during college.